An ancient practice that unites movement with mindfulness is flourishing with people young and old, men and women. The number of American adults over 50 doing yoga has tripled to 14 million. “Yoga has been shown to improve health. Several studies have found that yoga can help improve cardiovascular fitness, flexibility, balance and overall quality of life – and it can even reduce stress, anxiety and pain. In addition, people who do yoga are 20 percent more likely to have a positive image of their own physical and mental health, including a stronger sense of mental clarity, physical fitness, flexibility, and strength,” writes Dr. Marlynn Wei, contributing editor of Harvard Health Publications and a yoga teacher. While not as popular as yoga, tai chi and qigong are also gaining new followers. Today, we take a look at these three holistic practices. World-renowned yoga teacher B.K. S. Iyengar, who practiced yoga up until his death in 2014 at the age of 95, believed yoga’s physical, mental and spiritual benefits were vast and available to all. Just as yoga practitioners come in all shapes and sizes, yoga does, too. There is hot yoga and chair yoga, restorative yoga and power yoga, and everything in between. There are hundreds of poses, also called asanas, and countless variations with and without the use of blocks, blankets and other props. “Yoga Poses for Your 50s, 60s, 70s – and Beyond” heralds a recent AARP magazine article. 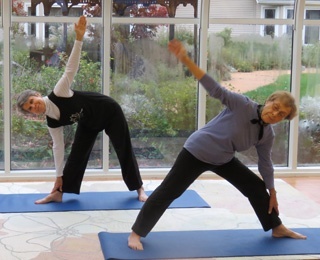 Kendal at Oberlin offers regular yoga classes in the Fitness Center. 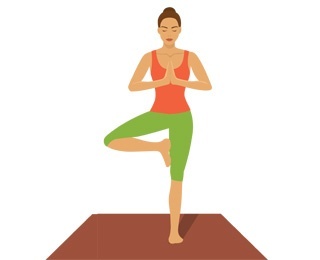 TREE POSE: Stand tall and balance your weight on your left leg. Bring the sole of your right foot as high up your left leg as you can, holding your hands as if in prayer. Hold for 30 seconds, then switch sides. If balance is a concern, use a wall or chair. COBBLER'S POSE: Sit with your spine straight and legs spread out. Bend your knees and bring your feet toward your pelvis, so the soles of your feet touch. Press your elbows on your thighs, coaxing them closer to the floor. HALF CHAIR AT THE WALL: Stand about 1 foot away from the wall, with your rear touching the wall. Raise your arms forward and up over your head, with your palms facing each other. Bend your knees and squat halfway to the floor. Hold for five breaths, then stand. Repeat. A pose for any age is savasana, or corpse pose, typically done to conclude the practice. Lie flat on your back, eyes closed, arms away from your torso with palms up, legs apart and dropped gently to the sides. Tai chi is an ancient Chinese practice originally developed for self-defense but now a gentle form of exercise. It involves a series of slow-paced movements that flow one into the next, accompanied by deep breathing. Benefits of tai chi include increased flexibility and balance and decreased stress and anxiety. “Tai chi is low impact and puts minimal stress on muscles and joints, making it generally safe for all ages and fitness levels. In fact, because tai chi is a low impact exercise, it may be especially suitable if you're an older adult who otherwise may not exercise,” according to the Mayo Clinic. Studies have shown tai chi to reduce falls in older adults by up to 45%, says Dr. Peter Wayne, research director of the Osher Center for Integrative Medicine at Brigham and Women’s Hospital and Harvard Medical School. Another study published in The New England Journal of Medicine found the program particularly effective for balance in people with Parkinson’s disease. Tai chi can also be practiced in the water. 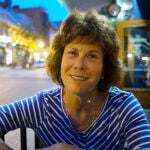 Kendal at Oberlin offers a water tai chi class. Wellness coordinator Jill Tvaroha demonstrates how to practice in a pool. Qigong, pronounced “chee-gung,” is a dynamic meditation. “Doing repetitions is not the focus – it is conscious application of the three intentful corrections – lengthen the spine, deepen the breath, clear the mind or visualize healing,” explains the Qigong Institute. Initiate the “relaxation response,” which is fostered when the mind is freed from its many distractions. This decreases the sympathetic function of the autonomic nervous system, which in turn reduces heart rate and blood pressure, dilates the blood capillaries, and optimizes the delivery of oxygen and nutrition to the tissues. Enhance the efficiency of the immune system through increased rate and flow of the lymphatic fluid and activation of immune cells. Resistance to disease and infection is accelerated by the elimination of toxic metabolic by-products from the interstitial spaces in the tissues, organs, and glands through the lymphatic system. Coordinate and balance right/left brain hemisphere dominance promoting deeper sleep, reduced anxiety, and mental clarity. Here at Kendal at Oberlin, our values include improving “the quality of life and vitality of those we serve”. We do this by providing the physical means to improve via our fitness center, fitness classes, and educational seminars, as well as through emotional support provided by our residents and staff. As a continuing care retirement community, we provide coordinated care for residents throughout the stages of life. Sample living at Kendal at Oberlin by spending a night or two with us as part of our Try It, You’ll Like It program. To learn more about this program or request a brochure, call 800-548-9469 or 440-775-0094 or contact us online.